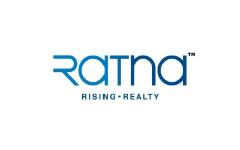 Business description - Ratnabhumi Developers is engaged in development of real estate projects in Ahmedabad. The company prepares the layout of the building in consultation with the architects, makes an arrangement to get all the approvals required for the project, carries out all the activities required for the construction and development of the project, and after the completion of the development process, it sells off the project. During the period 2009-2012, the company completed the project namely Ratna Turquoise costing INR65.63 crores. During the period 2012-17, the company’s main business activities were selling and marketing of commercial offices and shops constructed in its project Turquoise. Apart from selling and marketing of commercials offices and shops, it has rented shops, offices and spaces in the project to corporate clients for their business, commercials, advertisement and installing network equipments. Ratnabhumi Developers IPO allotment status is now available on Link Intime's website. Click on this link to get allotment status. SME BHARNI CHAHIYE K NAI…..?